Present your signature appetizers, mains and desserts with an oval platter. This stainless steel platter provides a classy and sophisticated look when serving your food. Its material is durable and easy to clean; making it the best option for commercial operations. The tapered sides confine food and liquids; keeping them within the space of the platter and free from spills. Designed for fish, its size is ideal for presenting cooked salmon, cod, tuna, lobster and more. The platter is also a breeze for servers to carry for hours on end. 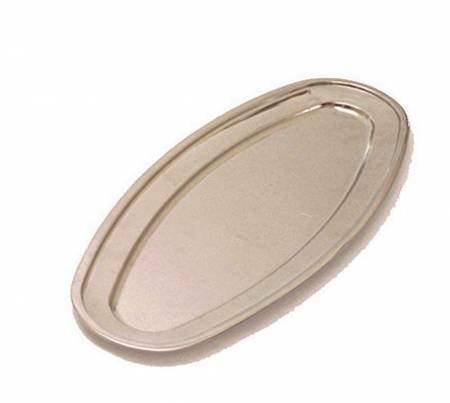 Restaurants, buffets and catering events can now add an attractive piece during service using this convenient platter.